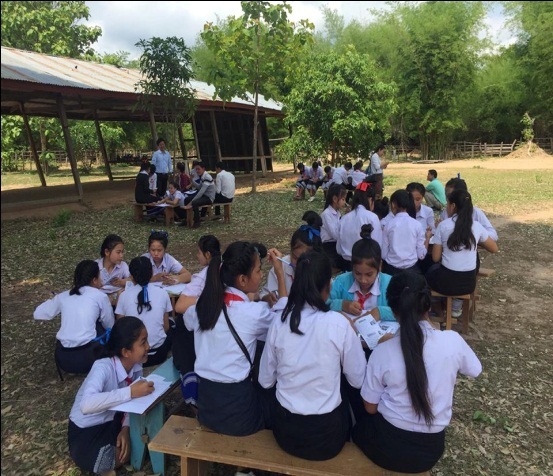 After trained 20 Student Gender Group(SGG-Law student volunteers) in December 2016, 14 of them were selected to do a role play on human trafficking. 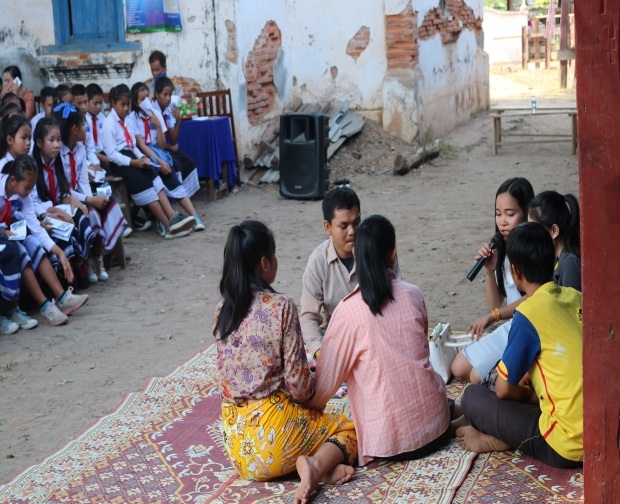 Then they went to five secondary schools to perform their roleplay. 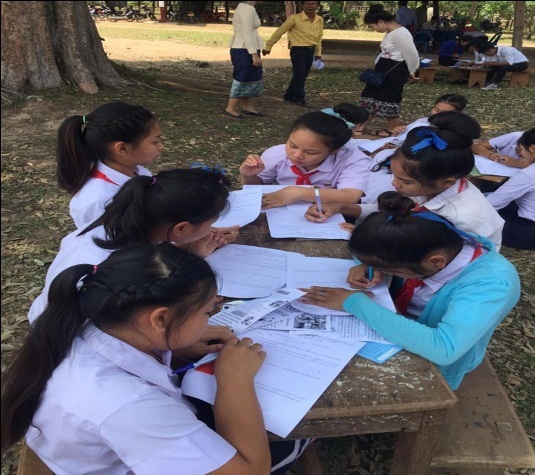 Our team work consisted of three staff from ADWLE, two staff from SubCAW Vientiane Capital, four staff from Khong district educational office, two law teachers from Champasak University and 14 students, total 25 people, 50 % were women. There were 2.872 students (1.479 female), 144 teachers ( 83 female) and 50 teaching practitioners ( 30 female) from five senior secondary schools were attended. Total were 3.066 people( 1592 female). It was double of our indicator which was 1,500 people. 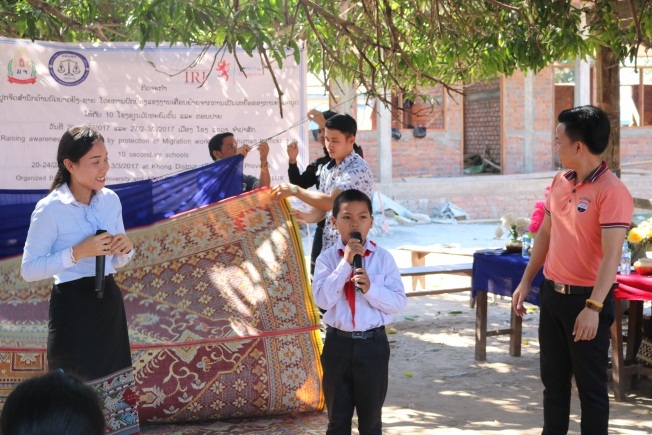 After watched role play, it taught the students to have awareness on human trafficking. They answered that they will not trust strangers, friends and relatives. They will trust only parents. When going out, they said they will be careful and always be aware. This roleplay taught that if you travelled illegal you will face to be victims of human trafficking. Some students said that the role paly taught about impacts of human trafficking. They said before going to work in Thailand they should educate well and be aware of broker telling lie or true. They understood that if they went without passport they will take risk to be victims of human trafficking. From ADWLE observation, 50 % of responders said that they want to go to work in Thailand. 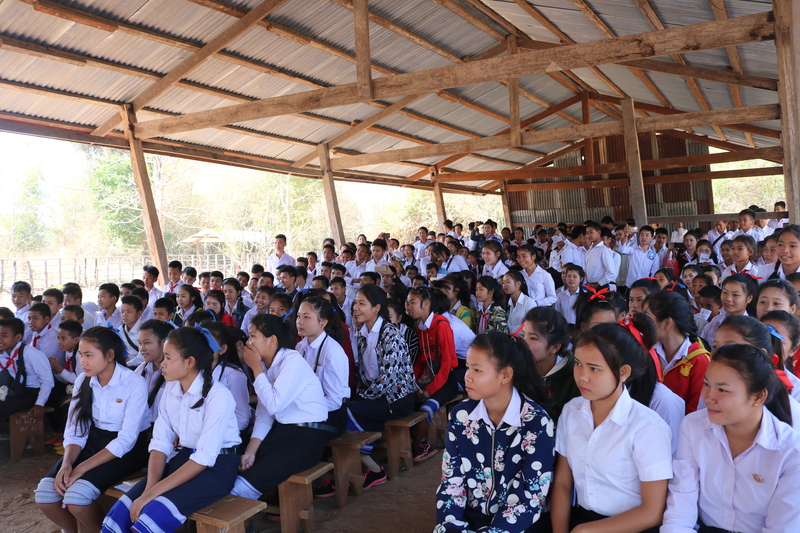 Few students of each school went to work in Thailand when their brothers, sisters or relatives visited village during Lao New year in mid April. They dropped schools immediately. Actually, they will take a final exam in May and June each year. ADWLE heard that one daughter of the village was missing more than 10 years. Her parents went to look for her but could not find her. ADWLE taught them that do not trust any body even relatives and should be aware all the times. They all paid attention to play like professional and had high commitment. 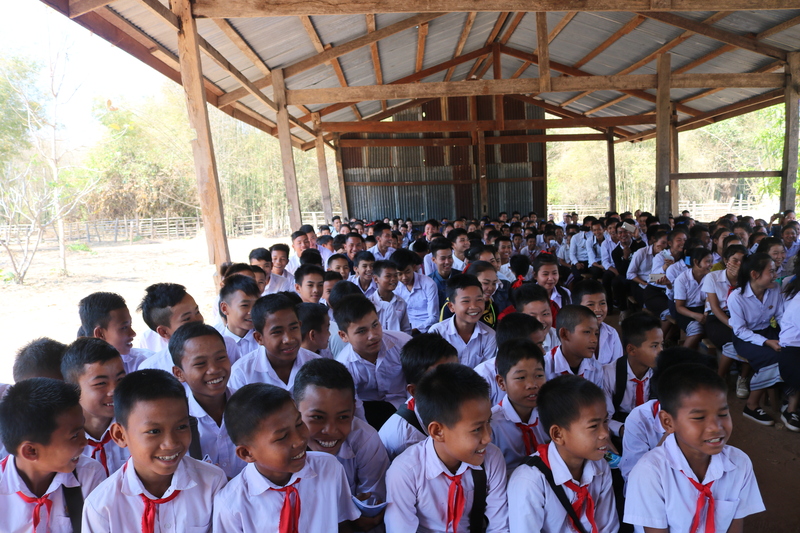 They all were happy that they were one main contribution to convey a crucial message to the students in order to change their mindset in terms of safe migration and human trafficking. 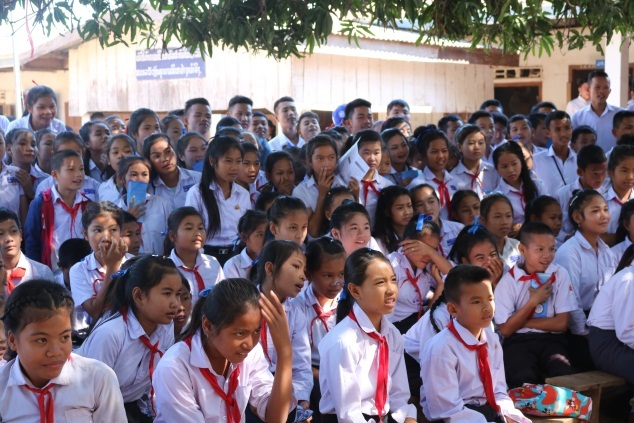 ADWLE staff observed that most students could not access to important information for instance work conditions, work place, illegal migration, safe migration and human trafficking. They become blind and fail to be victims easily. ADWLE are very worried and felt that ADWLE should continue further assistance to them in the near future. There were 503 students, of which 286 were female. The team interviewed them with 10 questions. 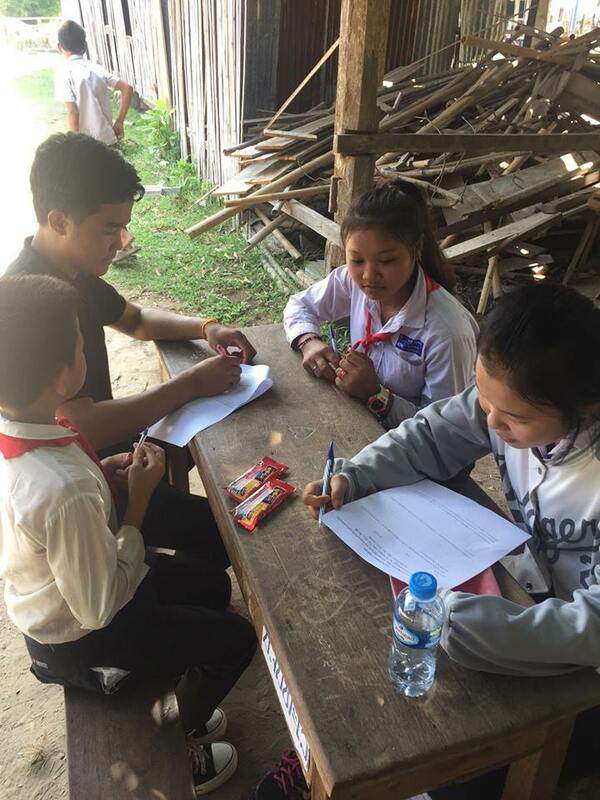 After watched role play, They answered that They understood that human trafficking is illegal, understood its concept, feelings, falling to become human trafficking victims and reminded society not to trust easily people, were aware of strangers, taught them that working in abroad were taking high risk. After watched the role play and listened to questions-answers regarding human trafficking, migrant labor, legal and illegal work. They changed their mind by increasing fear from the role play and increasing higher caution and did not want to go abroad illegally. They were aware of human trafficking. They will not trust people and strangers easily. If they were the same situation with the role play they said they will find the solution and be survived. 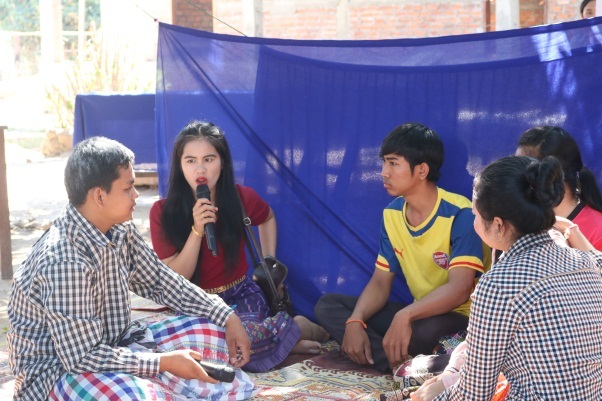 They said that they will concentrate to their study to find permanent job and to get rid of human trafficking victims. They want to help the human trafficking victims by informing to police and proposing to concerned organizations to help them. If they want to work abroad they will have documented papers to work legally and will not be smuggled because they will be easily arrested. 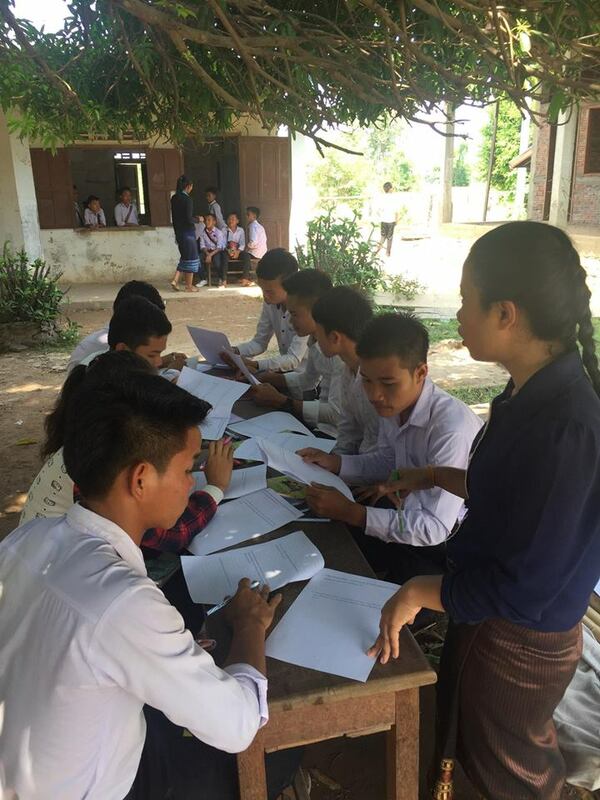 Ten secondary schools had a good cooperation and welcomed our monitoring team. Interviewed students had good cooperation by giving intentionally actual answers from their understanding and knowing of safe migration and human trafficking. 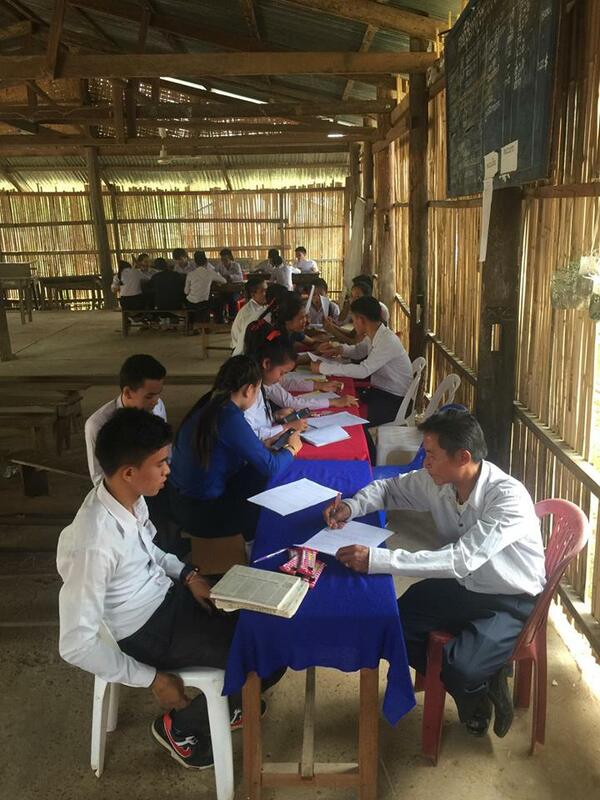 The team interviewed teachers There were 36 people, of which 19 were women. Some teachers felt very sad to see the role play because the actors did play very well. They were glad to see the team brought the social reality to show them. As a result, the teachers and students knew and understood and it was life lesson in the future and knew how to address it. They expressed pity to the human trafficking victims, felt fear to occurred problem because they were suppressed, forced and were physical violation. They were human being. After followed the role play performed they thought that it was so sad. It warned students not to trust easily. It promoted gender equality and understood law for livelihood and for living with peace. 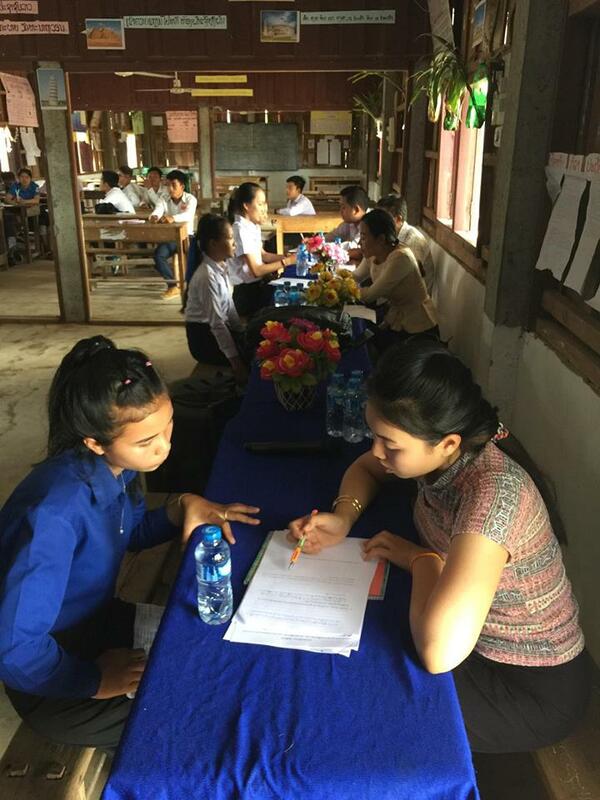 Teachers paid attention to effectively arrange the interview of the students and teachers.